Today I will share a very popular non-vegetarian snack called Chicken Kabiraji Cutlet. My Bengali friends must be licking their lips after hearing this name. 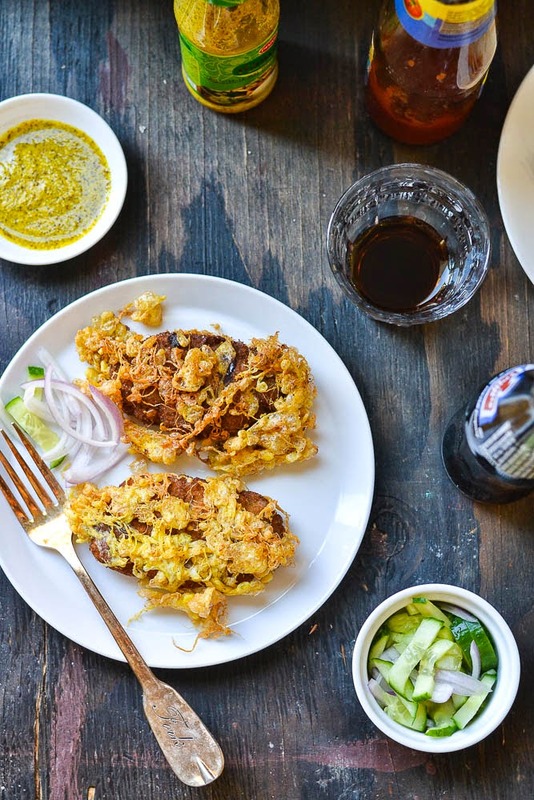 People who have been brought up in Kolkata are so familiar with street food and must be feeling nostalgic. They may have many sweet old memory of enjoying this snack with their friends or family on the roadside of Kolkata. It’s very common scene in Kolkata’s college canteens that a group of friends chat for hours with only a cup of tea/coffee and a Kabiraji. 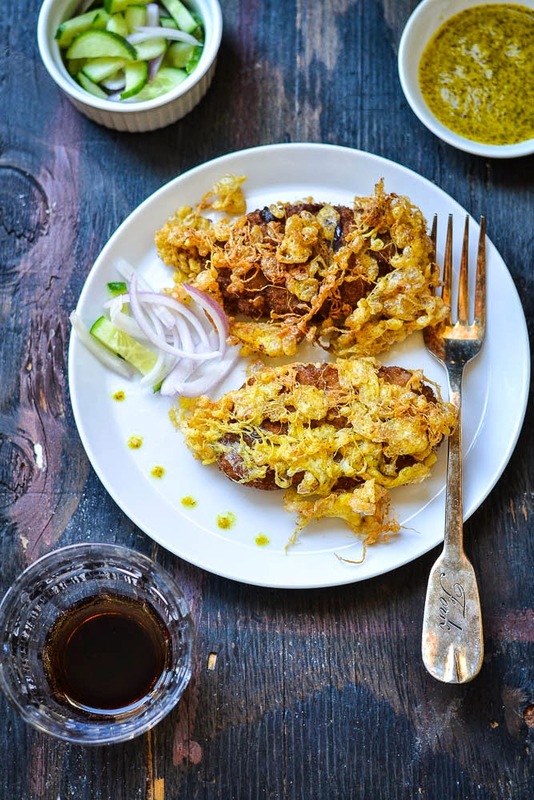 Chicken Kabiraji is another form of cutlets that is made of minced chicken mixed together with some spices and herbs. The dough is thinly spread out, dipped in egg and coated with breadcrumbs. Then it is fried with an abundance of eggs. To make an egg nest, a pinch of salt and an egg mixed with a teaspoon of water is dropped on top of the frying cutlet. 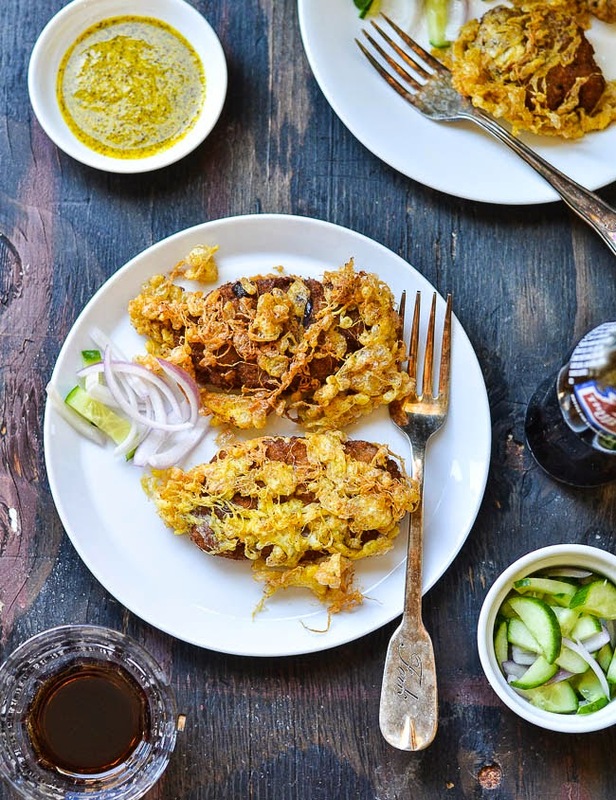 The word Kabiraji Cutlet has come from the Bengali pronunciation of a "Coverage or Cover with egg" Cutlet. 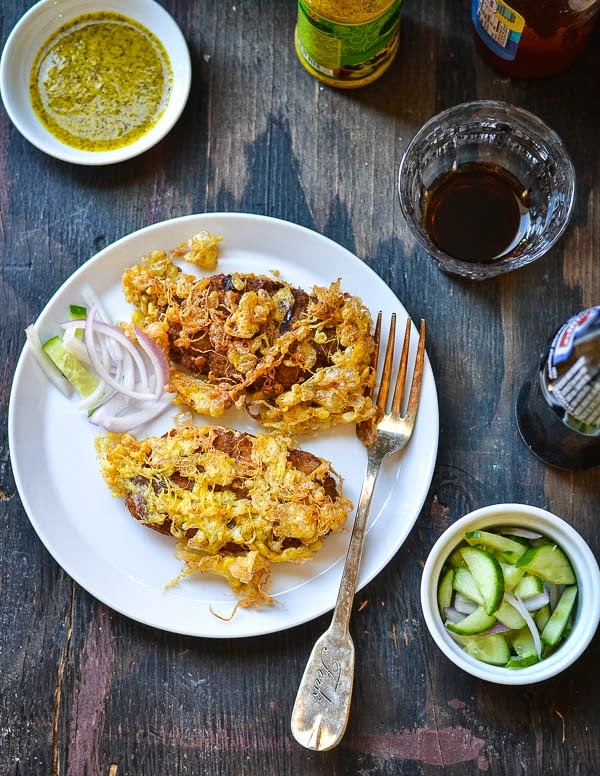 Like other chop cutlets, this recipe too is the result of British influence on the Bengali cuisine. 1. Take a mixing bowl, add minced chicken, finely chopped onion, ginger, garlic, green chillis, chopped cilantro, salt, black pepper and garam masala. Mix it well. Cover the bowl and refrigerate it for one hour. 3, In a big bowl, beat the eggs with salt, pepper, cornflour and water. 4. Now dip each cutlet into the beaten egg and then coat with breadcrumbs. 5. Deep fry the cutlet one by one into hot oil until the both sides are golden brown. 6. For the egg nest, when the cutlet is still in the oil, keep the flame high and carefully sprinkle the remaining egg batter until it covers the whole surface of the oil. Fold or wrap the fried cutlets in the egg nest. 7. Remove it from hot oil and place it on a paper towel to drain excess oil. serve hot with some ketchup and a salad ( sliced cucumber and onion) . Though I have been cooking for some recipes in last few weeks and clicked pictures of my next three posts, just didn't get time to write and edit the post. First my entire family became sick due to seasonal flue and then got busy with some social activities. Since we have a nice friend circle here, every weekend is booked for a party at some friend’s house. Anyway, since I am back to routine now, promise that I will soon post three yummy recipes. Last week I made Fish Kofta curry in one potluck party and the dish was appreciated by everybody. So I thought of posting this recipe here to my readers. If I don’t write it down soon after making the dish, I forget the details of the process. So it helps me too in future if I document it in the blog so that it becomes easier when I try the same recipe one year later. 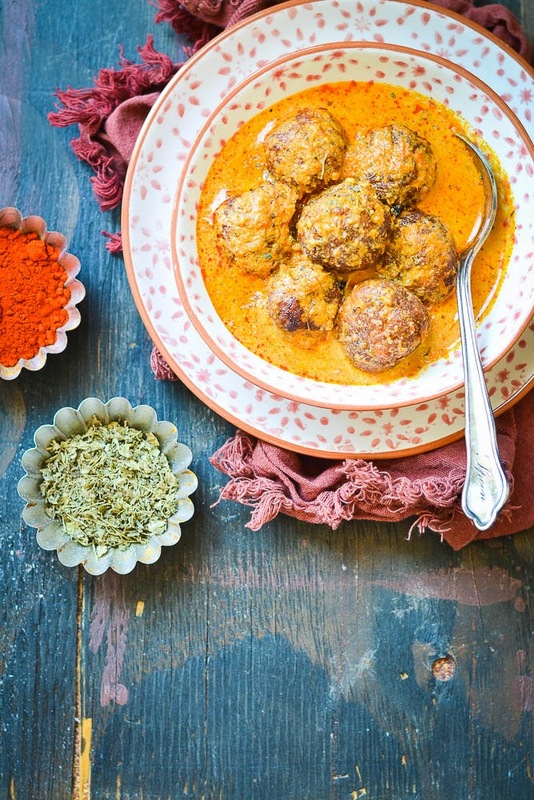 The concept of Koftas were introduced to Indian cuisine many years back during the Muslim rules. 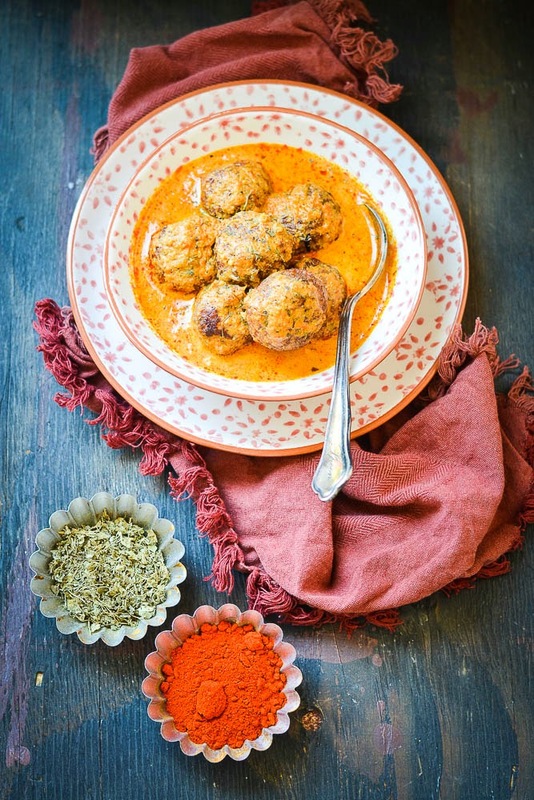 Koftas are commonly made with meat and are very popular in Persian or Middle Eastern cuisine. In the simplest form, koftas consist of balls that are made of minced or ground meat, mixed with spices and herbs. 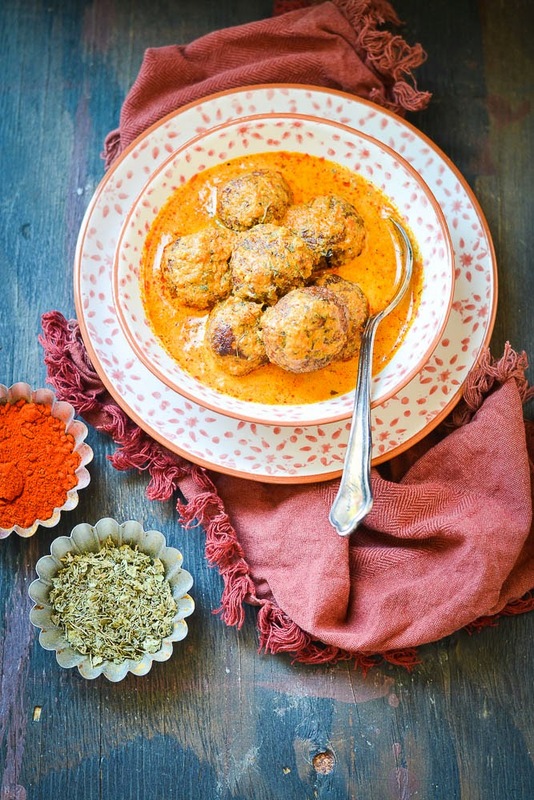 There are different variations of Kofta curry. Though it started with meat, later it was customized with fish and vegetables. As expected, Bengalis made the fish version popular. 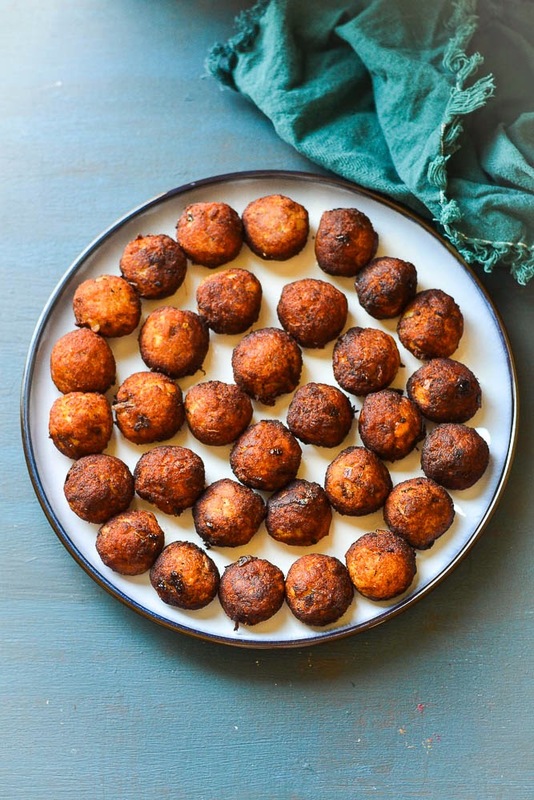 In Fish Kofta curry, ground fish is spiced, rolled into ball shape and then either deep fried or baked or grilled. Then they are cooked in different kinds of sauces with spices and herbs. Even though the process looks bit complex, it is worth every minute you spend making it. 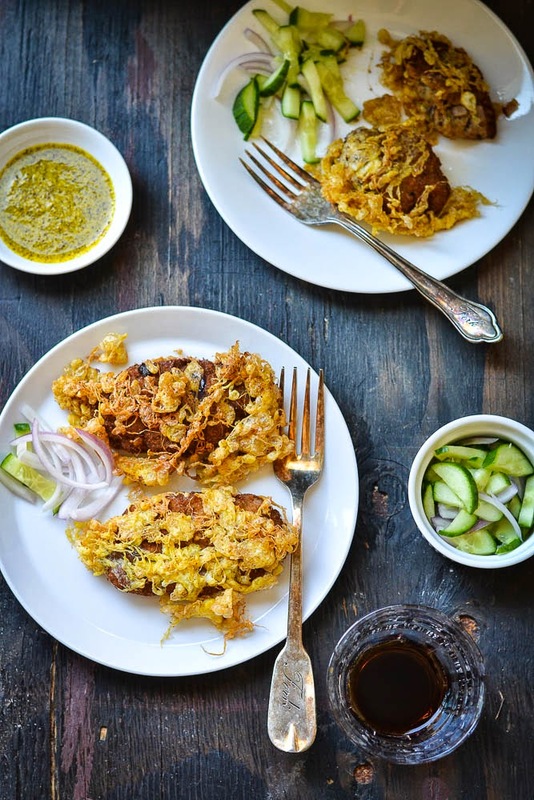 When served with steamed rice or Pulao, it becomes a classic dish, elegant and rich enough to be savored at any occasions; be it a mingle of friends, a birthday celebration, an anniversary or a wedding. 1. Wash the fish fillets and pat dry with paper towels. Take a big microwave proof bowl, add the fish and cook it in the microwave, until it is cooked. If you don't want to use microwave, can use stove top. Add fish fillets in a big pan, add little water and let it cook, until it is done. 2. Once fish fillets are cooked, set it aside and let it come to the room temperature. 3. Mashed the fish fillets, add chopped onions, ginger paste, garlic paste, minced ginger, chopped green chili peppers and chopped cilantro. Add salt and the boiled potato. Mix it nicely and make a tight but smooth mixture. Divide it into 20 portions and roll them into balls. 5. Take a big thick bottomed pan, add the oil and heat it up. Add black cardamom, green cardamoms, cloves, cinnamon, and 1/2 tsp of sugar. Saute for a couple of minutes or until they get aromatic and the sugar melts and changes the color. 6. Add the fenugreek seeds, once they sizzle add ginger-garlic paste. Saute until the color gets brown and the raw smell goes off. 7. Add red chili powders and keep stirring till oil starts to separate from the spice. Add the tomato puree and salt. Cook the mixture over medium heat until it becomes thick and oil again starts separating from the all sides of the pan. 8. Add the cashew paste. Mix it well and add 1 cup of milk. Add kasoori methi and sugar. Add the fresh cream ( it is optional, if you want to avoid the cream, add milk) , mix it well. Cover the pan and simmer it over low flame for 10 to 15 minutes. 9. Add the Koftas in the sauce in a single layer. Cook for 3 to 4 minutes more. Fish Kofta Curry is ready to serve. Check seasoning, add salt or sugar if needed. Serve immediately with with steamed Rice or Pulav. Last week was not so great time for Indian cricket lovers. First we lost in the semifinal and then the team we were supporting lost in the final. Only positive thing was that we had great party in one of our friend’s house. I tried a completely different kind of sweet dish this time with some sincere effort. Even my husband was very impressed about how much effort I had to put to make this dish. 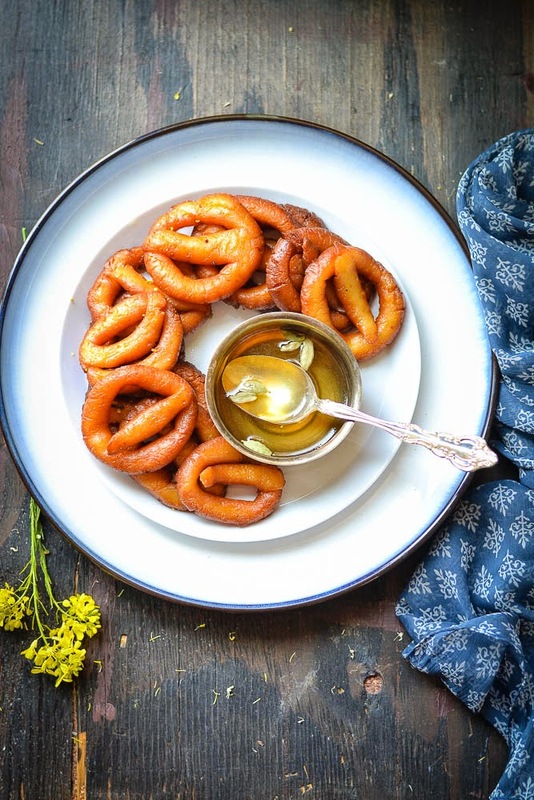 So today I am going to share with you the recipe of Chhena jalebi/Chhanar jilipi. While reading about its history, it was interesting to know that this sweet dish is originated from Odisha and not from Bengal. This eastern state of India is known for its desserts made of Chenna. Its popularity has spread beyond coastal Odisha and reached both parts of Bengal. The basic ingredient is cottage cheese or Chhena. Fresh chhena is fully kneaded and rolled up into shapes that make it look more like pretzels. Then they are deep fried and soaked in a sugary syrup. Chhena jalebis are served either hot or chilled. 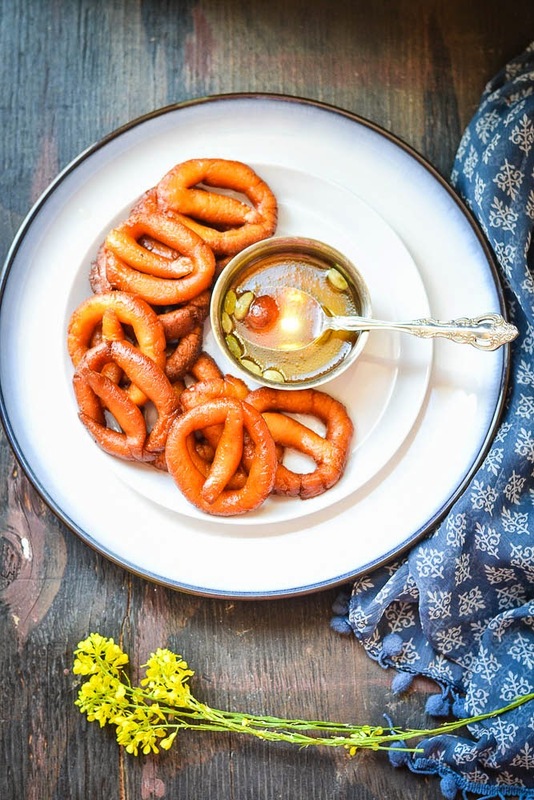 Though the process of making Channa jalebi is very similar to regular jalebis and Amriti, the regular jalebis are little bigger in size and crunchy. On the other hand, Chhenar Jalebi is very soft and the texture is like melt in mouth. Chhena/Paneer adds an interesting flavour to this type of jalebis. This is not so complex recipe but at the same time you need to be bit cautious while making, otherwise it may spoil the taste of this delectable sweet. The whole process takes longer than other common sweet dishes. It was really challenging to roll out the dough and shaping it as it gets cracked often. But it is doable and the final result was awesome. 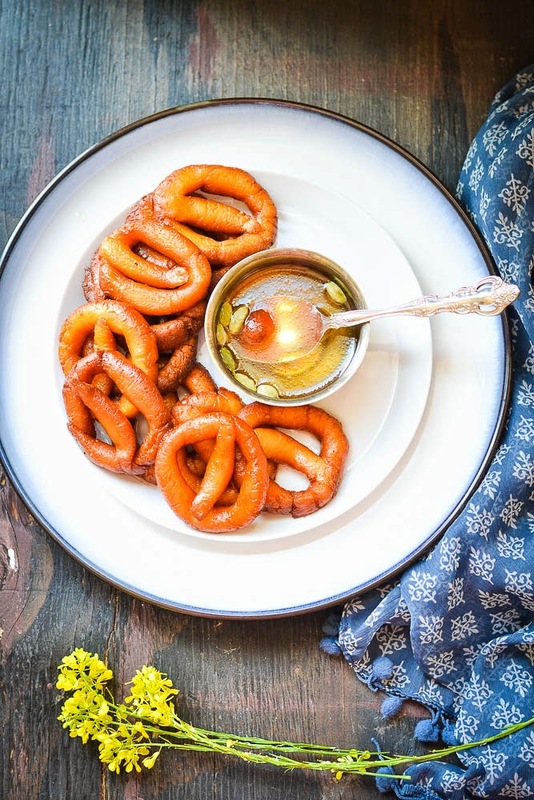 The taste of crispy jalebis oozing with syrup is just fabulous . 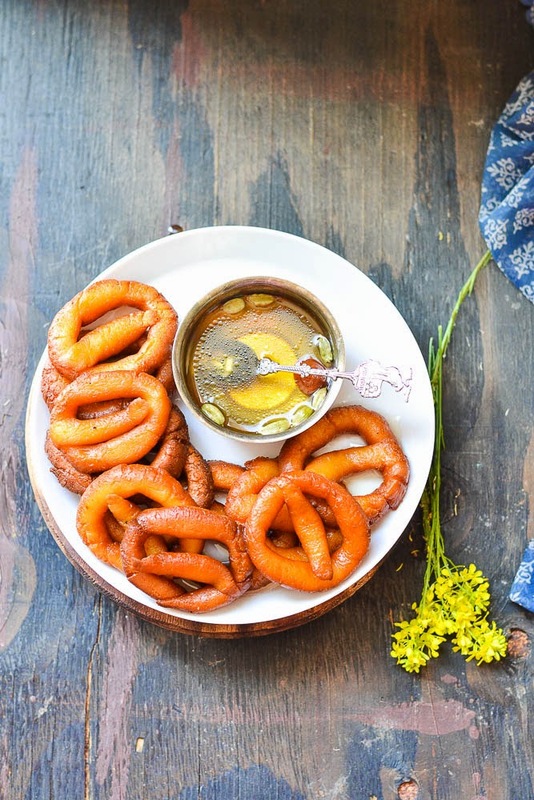 Frying the jalebis is a also very important step to achieve the inner softness of these sweets. The temperature should be moderate, neither very hot nor very mild. Lime juice - of a big lime and mix it with 1 tbsp water. 1. Boil the milk in a pan, stir continuously. Once the milk starts boiling, lower the flame. 2. Pour the lemon juice. Stir the milk. 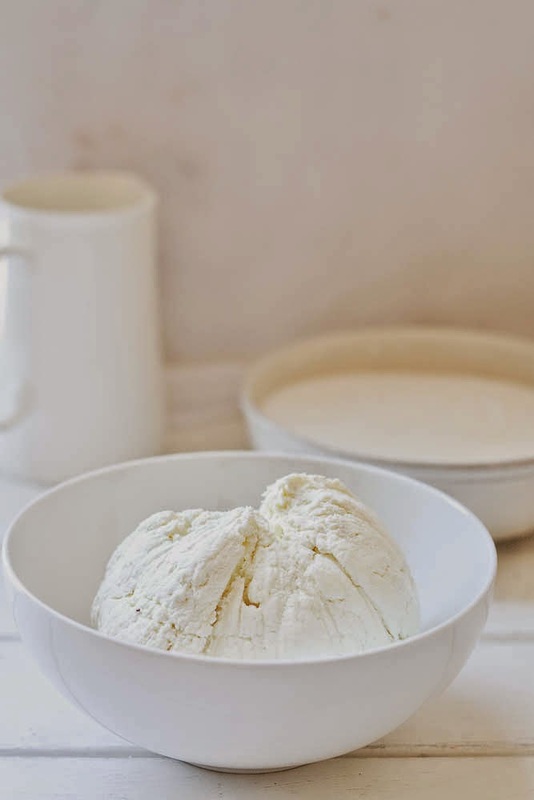 Once the milk starts curdling and changes into chhana (cottage cheese) and greenish water, remove the pan from heat. 3. 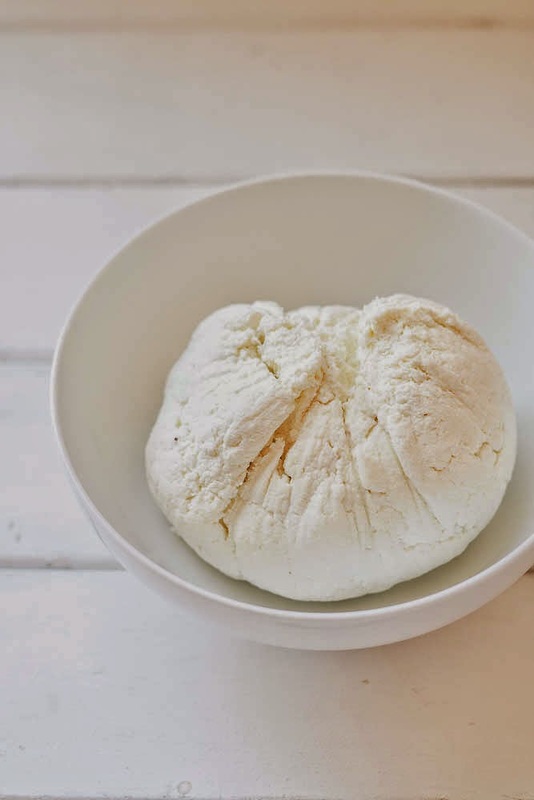 Leave the chhana / cottage cheese in this condition for 5-7 minutes. 4. Put it over a soft cotton cloth / or a cheese cloth (if you have any). Let all the water drain away. Now put this cloth with the chhana under cold running water for 2-3 minutes. 5. This will help to remove the smell of lemon. Hang the chhana along with the cloth on the kitchen tap / faucet for 45 minutes to 1 hr. 6. Now once again, squeeze the cloth if there is any extra water. Try to get rid of as much water as possible but note that the chhana (cottage cheese) should not get too dry. Mix the sugar and water and heat up till it comes to boiling state. Add the crushed cardamom, lower the gas and let it simmer. 1. Smash the Khoya on a flat surface till it becomes smooth. Smash the Chhana same way once it becomes very smooth and oily. 2. Add the baking powder, flour, cardamom powder and ghee (clarified butter) in the chhana and again knead it. 3. Add the smashed khoya and mix it together with the chhana. Knead it well with your palm till there would be no lump in it and it will become smooth and your palm is oily. 4. Let the dough rest for 10 minutes. Divide the dough into 20 small lemon size balls. Place it on a flat surface and start rolling it with your palm. Try to keep the thickness same. Make a 3 inches long rope. Try to give it a jilipi shape. It gets cracked very often. Repair any breakage by pressing it. The end result should be a smooth round spiral. Repeat the same process for the rest balls. Set it aside. 5. Heat the oil, once it is ready turn off the gas for 1 minute. Turn on again and lower the flame. Fry them in very low temperature till they get dark brown color on both sides. 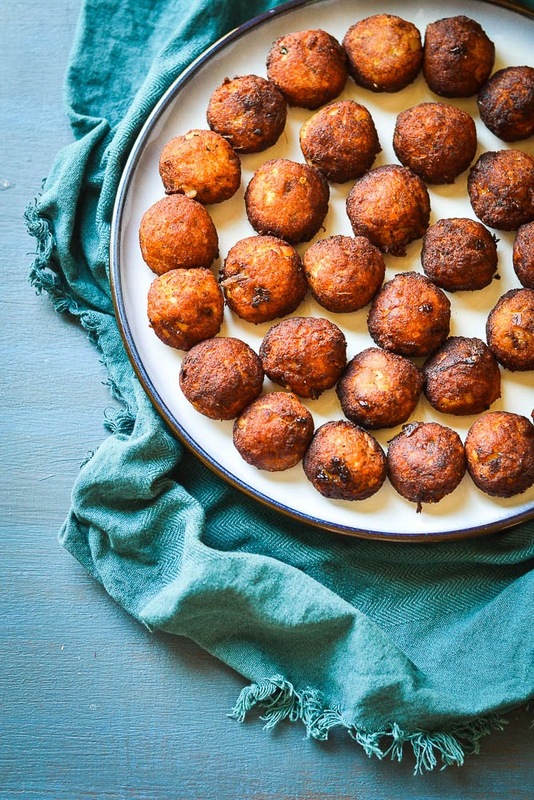 Fry it in small batches. 6. Once it is fried, immediately transfer them into hot syrup and let it soak for 30 to 40 minutes. Serve hot.